Recently, a Poway thrift-store owner made what’s being called the biggest score in local comics trading history when he bought the collection of a deceased L.A.-area hoarder. Nezhoda showed me video clips of the contents of the hoarder house that he recently purchased. One was of a room filled with stuff stacked so high that a full-size video-arcade machine was buried almost to its glass marquee up top. “That’s an original Tron machine,” Nezhoda pointed out. “[The owner] slept in a small seven-by-three-foot area and the rest of the house was full like this. Nezhoda, 40, and his wife Casey, 43, are used to sifting through hoarder houses and storage lockers. 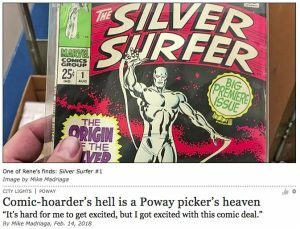 The Poway couple …..
“Trip out on this, bro,” Ed said as he pulled out a Coronas Sumatra cigar box that was labeled with “stroke” on the front and “cyanide” on the side. On February 4, we were at a pre–Super Bowl party in University City sipping on some brews and cooking up some pulutan (Filipino for munchies that complement beer and liquor). 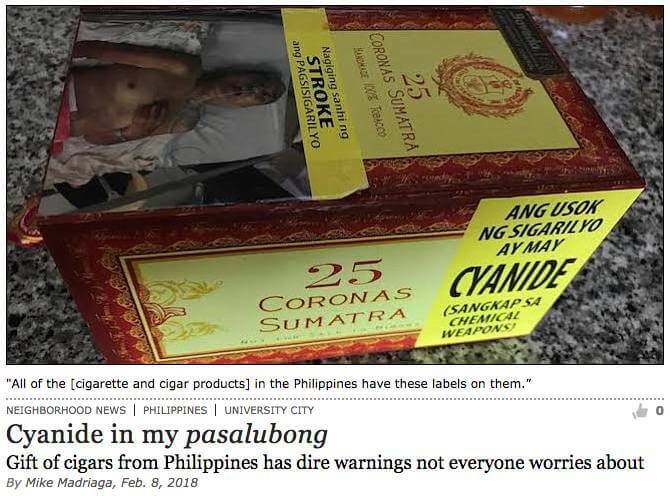 “I ain’t smokin’ that, pare [dude],” I said. We both quit smoking yosis (cigarettes) a while ago. Although for cigars, I make an exception — most of the time. About 99 percent of the time I trust my cousin Ed’s judgment because we go way back. 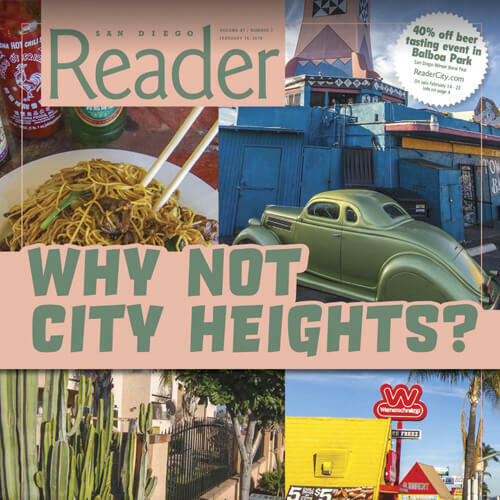 Before he took over his boss’s business in the …..
Matt Armstrong and Cindi Lapio have been noticing more permanent structures being built in their neighborhood canyons and ridges. 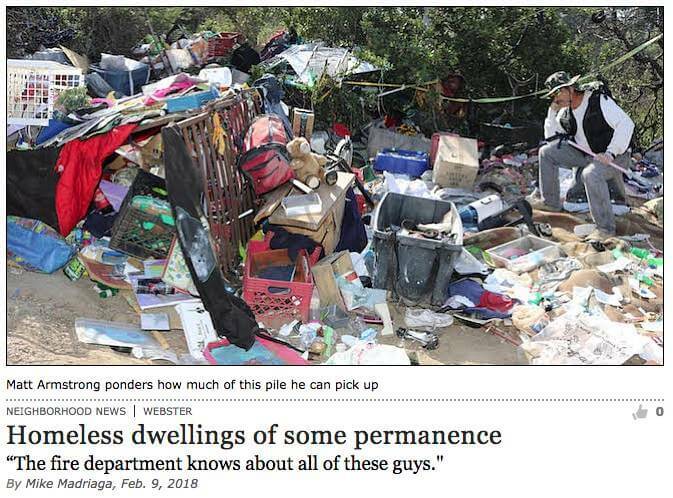 Armstrong is a 51-year-old martial arts instructor who cleaned out more than 2000 pounds of trash from the Manzanita Canyonlast year. Lapio is a 57-year-old retired contractor who partnered with Armstrong to clean about 1000 pounds of trash from Swan Canyon last month. Both are homeowners in City Heights, but they are now pushing their cleanup efforts further south. On February 6th, the two showed me …..